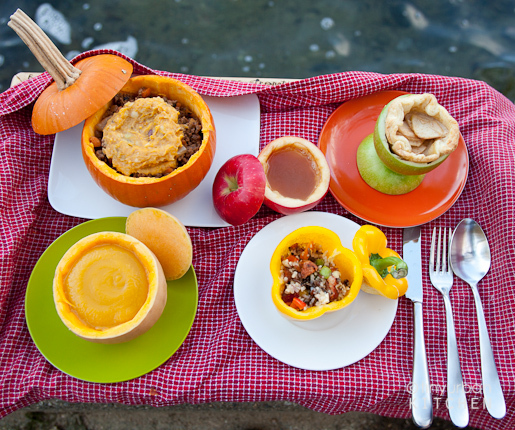 Tiny Urban Kitchen created an Autumn picnic using all Fall inspired edible bowls (and cups too). Apples, peppers, pumpkins, and squash all pull double duty as serving dishes. And the fabulous looking menu included her inside out apple pie. You can check out these beautiful dishes and some of the recipes for the deliciousness inside of them HERE. Such a cute idea for a nice dinner party to add a little interest to your table.